Logan, West Virginia Hotel’s amenities are sure to please. Travelers appreciate our West Virginia hotel’s great location as we are close to nearby attractions and businesses. The Logan Holiday Inn Express® Hotel & Suites offers convenient amenities and a thoughtful, accommodating staff. Business travelers appreciate the fact that our facilities include a Business Center with copy services and computer access. Our Logan hotel also offers a meeting room for your convenience. Nearby companies include Mohawk Flooring, Massey Energy and Walmart, and we are just a few miles from downtown Logan. 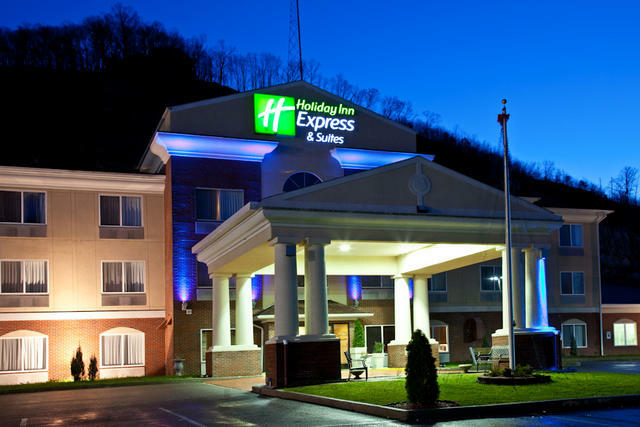 While in West Virginia, our hotel’s guests can take advantage of our great location. Downtown offers numerous activities for visitors to enjoy and is just six miles from our Logan hotel. History buffs are sure to enjoy the Shawnee Living History Trail while families can go to attractions like Water Ways Park and Hatfield and McCoy Trails. Be sure to visit Chief Logan State Park, as well, where you can enjoy outdoor productions and the beautiful West Virginia landscape. We proudly offer free high-speed, wireless Internet access throughout the hotel for your convenience. You can relax by the indoor pool after a long day of meetings, or you can use the Fitness Center to keep up your workout routine. Be sure to also take advantage of our complimentary, hot breakfast bar each morning. Call our Logan hotel to make you reservations today!